Kimchi is a tradional Korean dish made from all kinds of different vegetables with an emphasis on cabbage. I remember seeing it first in the vegetable department of the grocery store in pint jars. The redish chili stained vegetables pressed tight against the glass jar. I picked one up to inspect the contents and bubbles rose from the bottom in a effervescent manner. I was intrigued enough to buy a jar to try. When I opened the jar the contents fizzed like a warm coke. Timidly, I first smelled first (I have been burned by Limburger cheese before) then tried a bite. 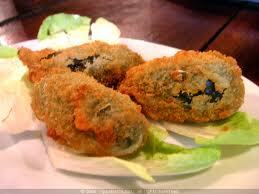 Wow, the great spicy flavor with the effervescence and crunch of the vegetables was great. I ate the whole jar in one sitting. Rinse all vegetables in water and salt. Cut out stem of cabbage with a V-notch, then cut in half lengthwise. Cut each half lengthwise once again, and slice crosswise into strips. Cut up the cabbage stem into thin strips. Scoop and stir with hands. Let cabbage sit while peeling carrots and cucumber. Peel carrots completely. Take strips from the cucumbers. Section the carrots and cut into thin strips. Section the cucumbers and cut into thin strips. Cut broccoli heads into byte-size pieces, cut stalks diagonally to make thin oval slices. Add salt. Scoop and stir. Trim scallions, slice the white part down the center, then cut into strips diagonally. Core and dice the apple and add. Skin the oranges and lemon. Slice the oranges, separate into pieces, and add. Put a handful of chilli pepper into a sauce bowl. Add from a third as much to an equal amount of sesame seeds, and crushed garlic. Add enough sesame oil to moisten everything, and approximately an equal amount of rice vinegar (enough to make a paste). Dice the lemon and squeeze into the bowl, add the remaining pieces. Mix the ingredients in the sauce bowl to make paste, then gently spread the paste into the vegetable bowl. First, cut the Napa cabbage in half lengthwise. Then you are ready to wash all of the vegetables. This is a very important step. Don’t neglect it. Run cool water into the sink or into a bowl. Sprinkle some Kosher salt into the water, and put in a bit of vinegar. Then swish the vegetables around in the water. Let them stand for a little while, but not too long, so they get a thorough rinsing. The salt and the vinegar act to purify the vegetables, washing away any toxic residues from pesticides and any clinging dirt. As you wash the vegetables, focus on your inner cooking. As you prepare the food, prepare your mind. Recognize that the way you prepare this meal is the way you are preparing your life. Put your total energy and attention into it. Clean your mind of all surface troubles and tribulations, all worries and fears. Focus on this exact moment in time. Observe the colors and textures of the vegetables. Feel them in your hand. Relax. Connect with your purpose and with the purpose of those who will be eating this food. Recognize that you are preparing totally healthy, life-giving fuel. Feel the love that you are demonstrating for yourself and for others as you perform this important service. Smile inside. This is going to be great! Its going to taste awesome! Now its time to slice up the cabbage. The secret to all Korean cooking is to cut the food into bite-sized pieces, just right for putting in your mouth and enjoying. 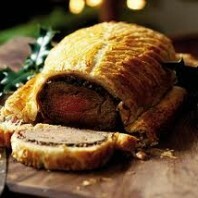 That way, the meal can be eaten calmly, instead of hacking away with a knife and fork every minute or so! Put half of the cabbage on the cutting board, flat side down. Then, at the base of the cabbage, cut a V-shaped notch around the stem, and remove it. (If you are an old hand, you can skip this step and leave in the heart of the cabbage. But at first its better to leave out the heart because its pretty tough to chew.) Then cut the cabbage lengthwise again, but leave the two halves together. Now, starting at the base and working towards the top of the cabbage, cut across the cabbage making strips about one inch wide. As you cut, the pieces will begin separating. When you are done, put all the pieces into the large bowl. Cut the other half and add those pieces to the bowl. Then sprinkle them all with a layer of Kosher salt. This again is a most important step. 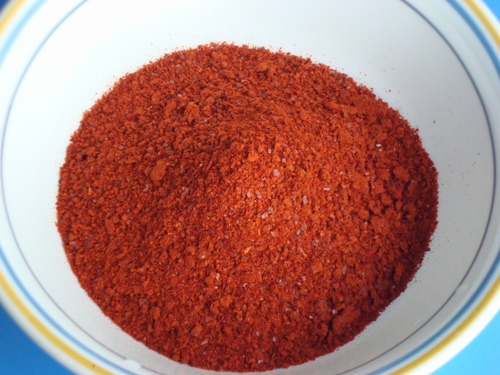 As the salt interacts with the cabbage, it draws out its natural juices and begins to break down the cell walls so that the spices in the chili paste can penetrate. Salting the cabbage is done early, so the salt can work while the other ingredients are being prepared. After sprinkling salt, gently stir it into the cabbage. Do this with your hands, rather than with a tool. (We’ll discuss more on this later.) Use your hands like you’re hugging the cabbage. Move them gently around the sides, and then gather them into the center. Then push the cabbage to the sides (gently) and pull your hands around the edges like you’re swimming with a breaststroke. The hugging motion is gentle. Generate love while you’re doing it. Its hard to overstate the importance of this step. Whenever we make Kimchi, it comes out good, but nearly as good as Grandmaster’s. We’re pretty sure that the missing ingredient is love. No one generates love with the intensity and purity that Grandmaster does. Its interesting to watch Grandmaster at times like these, too. If someone speaks to her, she may nod, or smile, or she may not react all — but her concentration never wavers. She is completely absorbed in what she is doing. She is also completely aware of everything going on around her — who is saying what, who is doing what, and where they are — but she has her attention focused on one thing — and that concentration makes a big difference in her kimchi. After you hug the cabbage, taste. It shouldn’t taste “salty”. At the same time, you should be able to taste the salt. Try adding little at a time, and test it frequently. When you reach the point where the cabbage “zings”, you’ve got it. 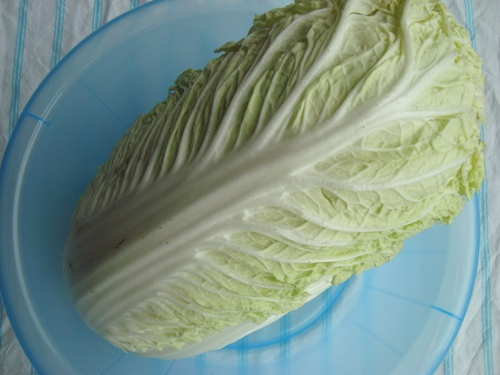 The right balance of salt makes the cabbage come alive, so its exciting on your tongue. Practice! You’ll get it. As you prepare each of the next vegetables, work them into the bowl with the same hugging technique. Add additional salt as required to keep the flavors tingling on your tongue. The carrots are next. Cut off the ends, then cut the carrots into sections about one inch long. Then stand the pieces on end, and cut downward into flat strips about a quarter of an inch thick. That gives you bite-sized carrot morsels that will taste great and be easy to chew. Go ahead and try one. Sing out “Lachaim” first (“La-kheye-em). Let it ring out! It means “To Life!” After all, that’s why we’re cooking! Before cutting the cucumber, use a peeler or knife to take off the skin. Leave thin strips of skin between the areas you peel — they add color and texture — but remove most of the skin. Then cut off the ends, and cut the cucumber the same way you cut the carrot (except for not cutting down the middle unless the cucumber is huge). Before cutting the broccoli, remove the little leaves growing in and around the stalks. Then cut up the broccoli heads into mouth sized pieces. You can also add parts of the stalk if you cut them on a narrow angle. To see what I mean, try cutting straight across the stalk. That gives you a small circular piece with a lot of rind and very little of the soft, white middle. But if you move the knife to angle the blade up the stem, you slice off a long oval with a lot of the white inside. These pieces are in good balance, with enough rind on the outside to keep a firm texture, and enough fleshy white part on the inside to make them a delectable treat. 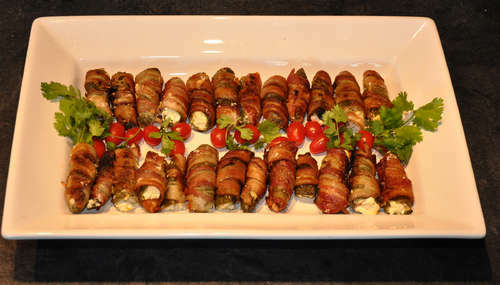 The scallions are the last of the “standard” vegetables in this recipe. Actually, none of the vegetables are standard. There are hundreds of varieties of kimchi. For example there is cucumber kimchi, that uses no cabbage. And there is mostly-cabbage kimchi with a few scallions and not much else. That’s the kind of kimchi you usually find in Korean restaurants, and Koreans love it. But the basic kimchi we are making here is one that is designed to be a tasty treat for people who have never had kimchi before, and who may not even like spicy food all that much! Whenever you make kimchi, don’t be afraid to experiment. Use whatever you have on hand. That keeps it exciting. No matter what kind of kimchi you make, though, always include the scallions. Scallions are a vital part of Grandmaster’s cooking, and of Korean cooking in general. Onions and garlic have for centuries been eaten as regular staples by the longest living peoples on earth — Asians, Russians, and Bulgarians. That is not a coincidence! To prepare the scallions, first cut off the hairy ends and cut off as much of the green parts as have started to wilt. The topmost layer of skin on the onion is frequently soft and wilted, too. If you peel it off, you’ll find fresh, crisp onion underneath. All of the onion that remains should be that crisp. Once the scallions are ready, cut them once lengthwise, from about the middle (where everything joins into a single stem) down to the end of the stem. Opening the scallions in this way unlocks their flavor, and lets their juices mingle freely with the other ingredients in the Kimchi. After slicing them lengthwise, hold several (or all or them) at one time, and cut short sections — about half an inch long. But, rather than cutting straight downward, cut at an angle to expose the maximum amount of surface area. To prepare the apple, either core it or slice it into sections and remove the core from the sections. Then dice the apple into half-inch cubes. Add them to the bowl. For the orange, first remove the skin, then slice it like a pineapple, making slices between a quarter-inch and a half-inch thick. 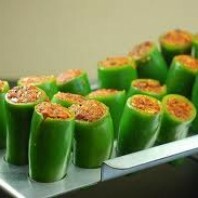 As you put the slices into the bowl, gently separate them into sections of one or two pieces. These pieces act like little surprise packages, giving you little bursts of flavor now and again as you enjoy the kimchi. They’re wonderful! When adding the lemon, first remove the skin and slice it into round sections, the same as the orange. But then dice the lemon into tiny bits before adding it to the bowl. Brush off the juice on the cutting board into the bowl, too. It adds a lot of flavor. Note: Rather than adding the lemon to the bowl, it can also be used for extra moisture when making the chili paste. I’ve seen Grandmaster do it both ways. Actually, I’ve seen Grandmaster do a lot of things differently each time. What matters most is the energy you put into the project, not strict attention to detail. If you perform each step with a purpose, and are consciously aware of that purpose, then that is sufficient. If something doesn’t work out, then rely on Grandmaster’s second principle of mental conduct: Learn from your mistakes! And if it does work out, great! Adding your own creativity and ingenuity to the process makes it that much more wonderful! That takes care of the basic ingredients. Now for the chili paste. This is the big step! So far, its easy to see why Kimchi is healthy. After all, its all raw fruits and vegetables, something we all need a lot more of in our diet. But much more healthy and energizing surprises await! Along with garlic and onions, chilli pepper has been recommended by some very long-lived peoples! 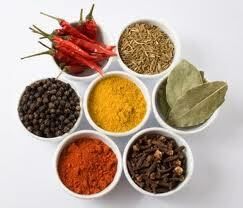 Its worth using, even if you are not all that fond of spicy foods. 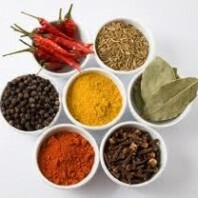 Remember to keep it in balance — it should add flavor and zest, not cry out for a fire hose! This is without a doubt the secret ingredient in Kimchi — large amounts of fresh, crushed garlic. Grandmaster recommends eating kimchi with every meal. Anyone who looks as young as she does at 46 has got to be on to something. Along with meditation, exercise, stress release, and positive thinking, the garlic in her diet has a lot to do with that. You need about half as much garlic as chili pepper, or a little more. You can relax, though. You don’t have to crush it all yourself. Any Korean store (or a good Oriental store) will have small tubs of crushed garlic in the freezer section. Later on, I’ll go into a lot more detail about how Kimchi and garlic act to make you healthy. 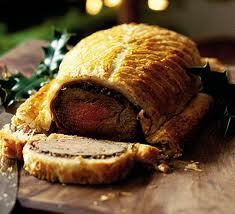 For now though, let’s finish up the recipe so we can enjoy the eating! There are only a few steps left. 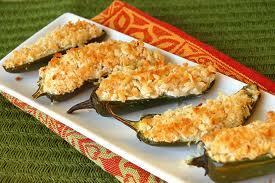 Now that you have added the garlic to the chili powder, add an equal amount of roasted sesame seeds. The total mixture so far is about 1/2 chili powder, one quarter crushed garlic, and one quarter roast sesame seeds. Add rice vinegar and knead the mixture with your hands. Add enough vinegar until you begin to form a smooth paste. Then add a dash of sesame oil — about a tablespoon. Now is the time to add the diced lemon, if you haven’t already added it to the large bowl. Test the chili paste for flavor — it will be hot, but the sesame and garlic flavors should also be pronounced. Add more ingredients as needed. Blend the ingredients until the paste has a uniform color. The dry chili pepper will be bright red. As you add rice vinegar and other ingredients, it becomes more orange. Try to keep it on the bright side, rather than a dull orange. Ah. The final step. Take a bit of the chili paste in your hand, and rub it into the top of the Kimchi. Softly. Gently. 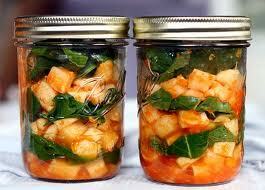 Now practice your hugging exercise, gently moving the Kimchi around until all of the pieces are evenly coated. If you can see uncoated pieces, then you need to add more. The goal is to just cover the Kimchi — any more chili paste than that, and its going to be a lot hotter. 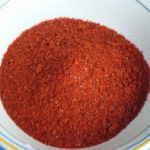 If you are not used to spicy foods, add the chili paste a little at a time. Try it as you go. When you get to the point where your tongue says, “Wow! That’s exciting!” then its time to stop. Get a bowl, put in some rice, and treat yourself to one of the best dishes you could possibly make. 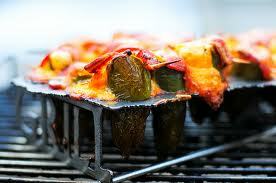 The goal of this step is not just to spread the chili paste, but to put your energy into the food. Perhaps you are familiar with the concept of “energy circuits” in your body. This is a very traditional concept in the Orient. One of the body’s main energy pathways runs along the arms down to the palms of the hands. It terminates right at the base of the hand, in the center of the palm heel. For an exercise in energy sensitivity, put your hands out to a fire (from a distance), or up to the sun. Be aware of your body. Note how much more you feel the energy in your palms than elsewhere on your skin. 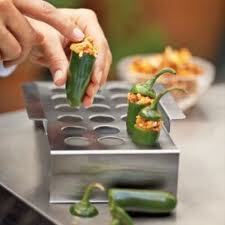 As you spread the chili paste and hug the kimchi, focus on generating energy through your palms. Generate all the love, strength, and power that you can. Put your heart into it. You will feel stronger, and the kimchi will come out that much better! Transfer any liquid that accumulated during the mixing process into the bottle as well – this liquid will become kim chi brine. Some liquid will also come out of the cabbage leaves as you press down on them as they are stacked in the bottle. Be sure to leave about 2 inches of room at the top of the bottle before capping it tightly with a lid. 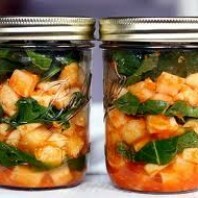 Allow bottle of kim chi to sit at room temperature for 24 hours. Your kim chi is now ready to eat. Refrigerate and take out portions as needed. 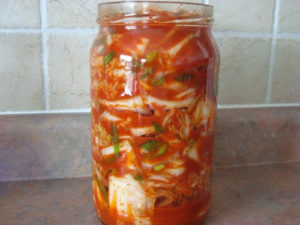 The refrigerated kim chi will continue to ferment slowly in the refrigerator over time. 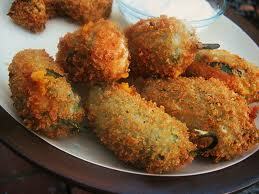 So long as you use clean utensils to take out small portions, it will keep for up to a month in your refrigerator. 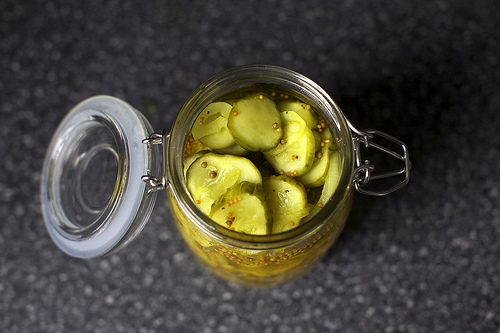 The definition of fermentation is “breaking down into simpler components”. 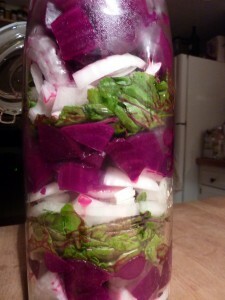 Fermentation makes the foods easier to digest and the nutrients easier to assimilate. In effect, much of the work of digestion is done for you. Since it doesn’t use heat, fermentation also retains enzymes, vitamins, and other nutrients that are usually destroyed by food processing. 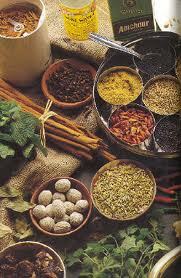 The active cultures that pre-digest the food as part of the fermentation process actually generate nutrients. So there are more vitamins–especially B-vitamins–and minerals like iron are released from the chemical bonds that prevent them from being assimilated. 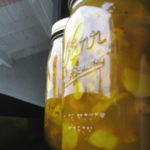 In effect, the nutritional value of a food goes up when it has been fermented.. 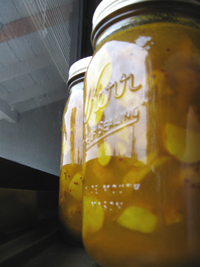 The fermentation process also preserves the food. You start with a wholesome, raw food and preserve it in a way that leaves its nutrients intact, so you have the health benefits of raw food with having to run to the grocery store every other day for more–which is what happens, unless you’re lucky enough to have a garden. On the other hand, the cruciferous vegetables can be overcooked, too. 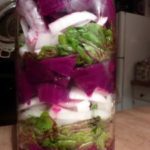 That makes fermentation an ideal way to unlock the nutrients in cruciferous vegetables, because there is no risk of overcooking. 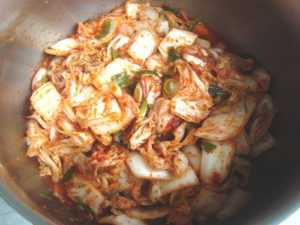 The bottom line is that fermentation is an important part of the process, when making cabbage-based kimchi. Once the food is salted, it needs to be kept in a cool place with minimal oxygen. To keep the contents cool, Koreans have traditionally placed their Kimchi pots in the ground, which stays at 55 degrees year-round. Basements and root cellars are also good. For the rest of us, one author recommended using a small refrigerator at the least cool temperature setting. 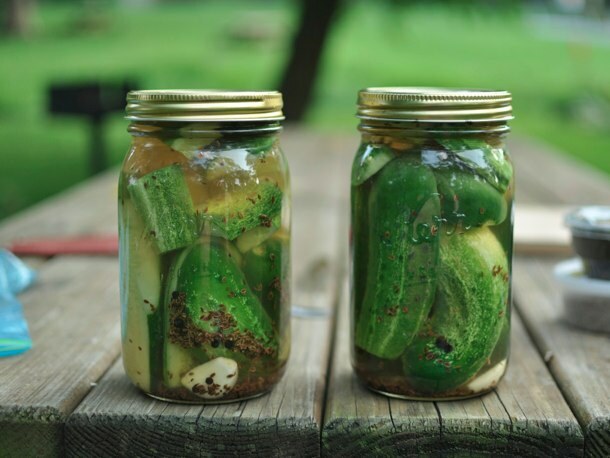 As far as the commercial market goes there are two types of cucumbers, slicing and pickling. 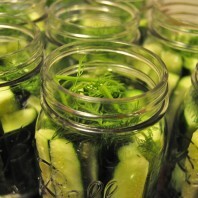 The slicing kind have a thicker skin and are larger than the pickling kind of cucumber. Researchers have long been familiar with the presence of unique polyphenols in plants called lignans, and these health-benefiting substances have been studied extensively in cruciferous vegetables (like broccoli or cabbage) and allium vegetables (like onion or garlic). 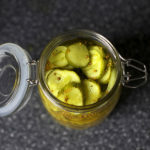 Recent studies, however, have begun to pay more attention to the lignan content of other vegetables, including cucumbers. Cucumbers are now known to contain lariciresinol, pinoresinol, and secoisolariciresinol–three lignans that have a strong history of research in connection with reduced risk of cardiovascular disease as well as several cancer types, including breast, uterine, ovarian, and prostate cancers. 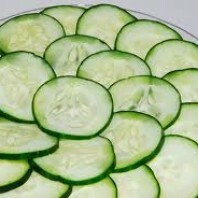 Fresh extracts from cucumbers have recently been show to have both antioxidant and anti-inflammatory properties. While research in this area must still be considered preliminary–since it’s only been conducted on animals in a lab setting–the findings are clear and consistent. Substances in fresh cucumber extracts help scavenge free radicals, help improve antioxidant status, inhibit the activity of pro-inflammatory enzymes like cyclo-oxygenase 2 (COX-2), and prevent overproduction of nitric oxide in situations where it could pose health risks. 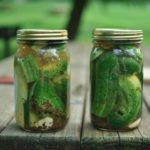 It’s highly likely that cucumber phytonutrients play a key role in providing these antioxidant and anti-inflammatory benefits, supporting health alongside of the conventional antioxidant nutrients--including vitamin C, beta-carotene, and manganese of which cucumbers are an important source. As a member of the Cucurbitaceae family of plants, cucumbers are a rich source of triterpene phytonutrients called cucurbitacins. 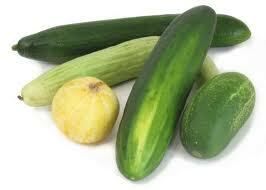 Cucurbitacins A, B, C, D and E are all contained in fresh cucumber. They have been the subject of active and ongoing research to determine the extent and nature of their anti-cancer properties. Scientists have already determined that several different signaling pathways (for example, the JAK-STAT and MAPK pathways) required for cancer cell development and survival can be blocked by activity of cucurbitacins. We expect to see human studies that confirm the anti-cancer benefits of cucumbers in the everyday diet. 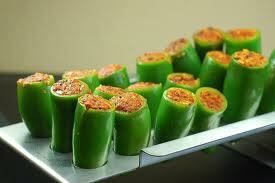 Store your cucumbers in the refrigerator and use them within a few days. 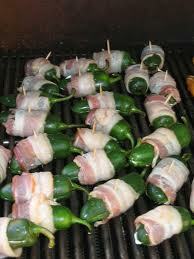 Once you’ve cut into the cuc wrap it with plastic or put it in a bag to prevent it from drying out. 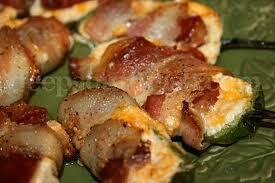 Make sure you clean your cuc before you eat it because store bought cucs are usually waxed to make them look better. 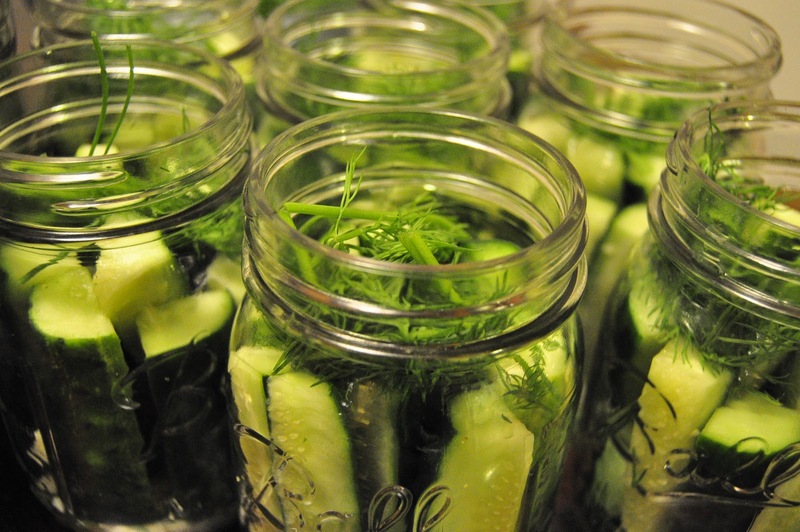 It is a good idea to buy organically grown cucumbers to limit your exposure to chemicals. Organically grown cucumbers can be waxed also, but only with non-synthetic waxes. Some people remove the skin and seeds and there is nothing wrong with that except for the loss of vitamins and minerals contained in the skin and seeds. 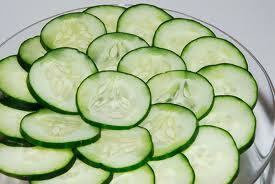 If you buy regular cucumbers you should remove the skin to avoid chemical consumption. 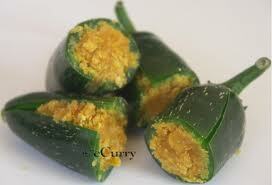 Organic cucs can be eaten whole if washed properly. Some people remove the seeds because the seeds have been know to cause gas or “burping” in some of us or they can be tough and hard to chew in older cucumbers. When I was a little boy, I remember my Grandfather Steible taking me out into the country side of Kansas City in the late Spring to dig and gather dandelion greens. My Grandfather’s family was “off the boat” German, with all the traditions and folk remedies that went with that. 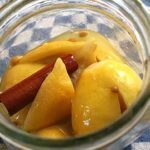 Some people poo poo those old remedies as fiction and witchcraft, but you’d be surprised to find that most, yes, most of those old remedies passed down from generation to generation, until the reason for doing it is lost, but the tradition has not been, are based on sound scientific facts. When we got home with our “peck” of dandelion greens, I’d help him clean them in the sink, trimming the roots off and the harder older leaves. He would act like I was actually helpful. He taught me to gather the greens before the flower bloomed to get the most tender leaves. I was not to pick the yellow ones for fear a dog might have watered it. That was another reason to leave the city for our gathering. We would soak the greens in ice cold water to revive them while he would make a batter of buckwheat pancakes. 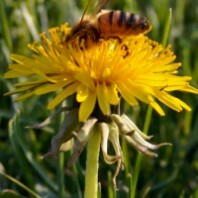 Dandelions have medicinal uses both externally and internally. The fresh juice of the dandelion is an antibacterial agent and can be applied to a cut or the skin to fight the growth of Staphococcus aureus, pneumococci, meningococci and others. The latex in the plant sap near the roots of an older plant can be used to remove corns and warts. Dandelion has been used to treat problems of the gall bladder, kidney and urinary track disorders, gallstones, jaundice, cirrhosis, hypoglycemia, dyspepsia with constipation, edema associated with high blood pressure and heart weakness, chronic joint and skin complaints, gout, eczema and acne. As a tonic dandelion is said to strengthen the kidneys. 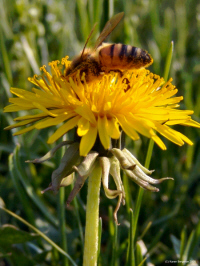 Dandelion is supposed to be a strong diuretic without depleting the body of potassium. All of that, but my Grandfather just told me it was a Spring tonic to cleanse our blood. While the greens soaked, Granddaddy mixed a batter of buckwheat flour, eggs, milk and baking powder for our pancakes. All I remember about the pancakes is that they tasted way different than regular pancakes and not as sweet, but I loved them. Turns out that Buckwheat is very high in fiber, has all eight essential amino acids, contains phosphorus, magnesium, iron, zinc, copper and manganese among others. 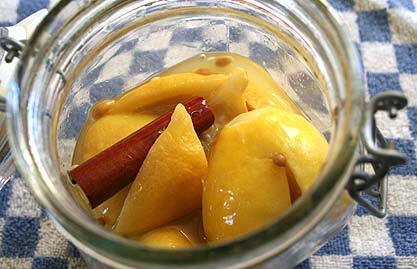 It is a great source of flavonoids especially rutin and lowers glucose levels and is beneficial for managing diabetes. 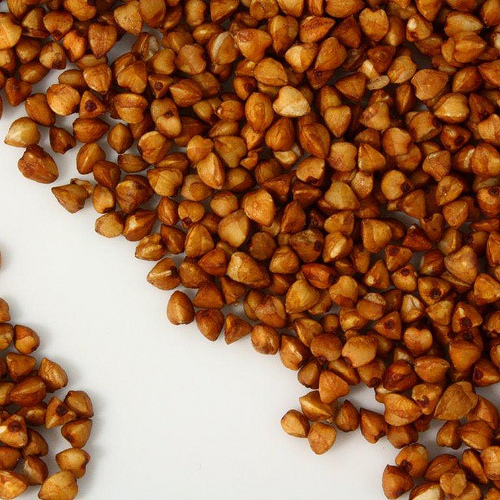 Buckwheat also has been found to lower blood pressure and reduce cholesterol. Surprisingly, buckwheat is not a grain, but the seed of a fruit related to rhubarb and sorrel, and therefore gluten-free. After all the gathering, mixing, soaking and cleaning up, we had buckwheat pancakes and a salad of Dandelion greens, hard cooked eggs, bacon, spring onions and wilted with a hot bacon dressing. This stuff smells GREAT! Granddaddy showed me how to take a little dandelion salad and plop it in the middle of one of the buckwheat pancakes. He would then roll the pancake up and eat it with his hands. This meal has stuck in my mind for over 50 years. I have seen dandelion greens at our Whole Foods store, but I know you can get them in your yard if you don’t spray or have local dogs. Buckwheat is usually available in the health food stores or the health food section of your local store.